One person was in serious to critical condition after a second-floor porch collapsed onto at least five people early Saturday in the Palmer Square neighborhood on the Northwest Side. NBC 5's Lisa Chavarria has the details. One person was in serious to critical condition after a second-floor porch collapsed onto at least five people early Saturday in the Palmer Square neighborhood on the Northwest Side. 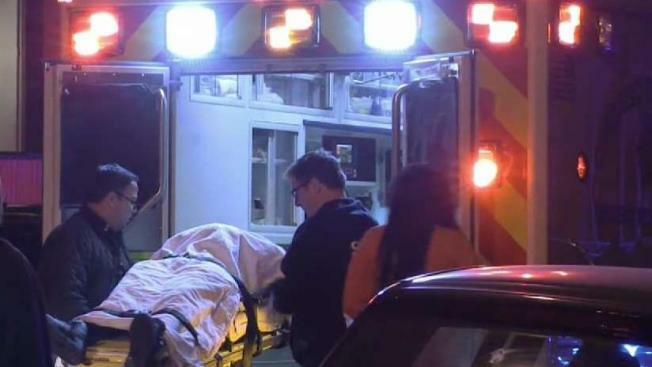 At 2 a.m., a raised porch suddenly detached from an apartment building in the 2900 block of West Lyndale Street, sending three males and two females into stretchers, police said. Two people were taken to Illinois Masonic Medical Center, according to police and the Chicago Fire Department. One was in serious-to-critical condition and the other person’s condition was stabilized. Another two were taken to Norwegian American Hospital and one was taken to Little Company of Mary Hospital in Evergreen Park, authorities said. All three of them were stabilized in good to fair condition. The city building inspector was on the scene, police said.